This Sunday – Don’t Shrink Back! I’m going to be preaching this Sunday (November 25), and I’m very excited about the message God has given me! 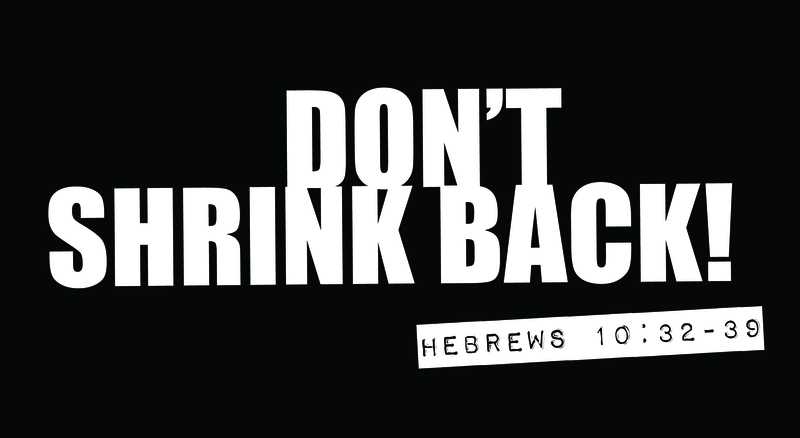 We are going to look at Hebrews 10:32-39 in a message called Don’t Shrink Back! This message will encourage you in your walk with Christ. If you have family in town, bring them to one of our services! Our services our at 9:00 a.m. and 10:45 a.m., with children’s ministry in both services. Let’s have a great Sunday of worship together!